Click here for the full-resolution version (3000 x 2000). I heard that the Houti shot down one UAE's Wing Loong UCAV in Yemen yesterday. I'll find more sources to backup the claim. Find a video on YouTube. I hope you don't mind the shouting. Broccoli and N00813 like this. I love how the soldiers in these videos always scream and chant “allahu akbar” when shooting at something until they hit. It’s the same with the HJ-8 vs T-72/Abrams videos. Unfortunate, but such drones have zero active self active defence capabilities, if someone shoots a decent SAM at it, they will shoot it down unless the missiles malfunctions and misses. The only defence they have is passive and its altitude. They can fly higher than most MANPAD maximum altitudes, thereby massively limiting what can engage them. The Wiing Long has a service ceiling of 5km, which is much higher than the max altitude of the FN6 (3.8km) or Igla (3.2km) for example. However, I do question just how high the Saudis were flying that drone, as it took very little time between missile launch and impact, suggesting an unusually low altitude. DigoSSA, Biscuits, Broccoli and 3 others like this. when you fly into a battlefield, you're supposed to be shot down and that's normal. the great thing is, it's an UCAV, so no man lost. however, the problem is the tactics that the UAE employs when using their UAV/UCAV. as you said, they should fly higher than the max attitude of the MANPAD to stay safe from them. I believe the UAE will learn this and fly their Wing Loong properly. Biscuits and N00813 like this. 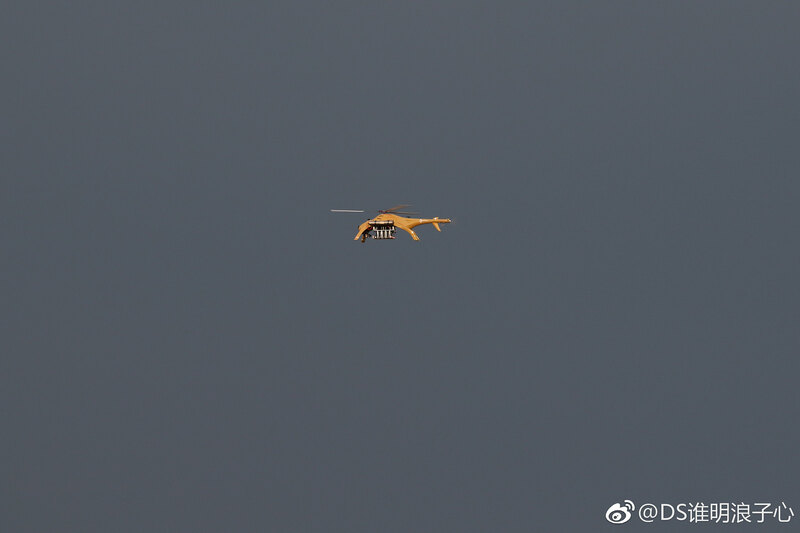 Shows that Beijing needs work on its branding, with the guys shouting "death to USA and Israel" when the UAV was actually produced in China. Stomping on that air-to-ground missile probably isn't a great idea. Saudis are basically (in)famous for buying anything of high quality and then promptly wasting it by using it like morons. Having Saudis use the weapons is a big PR boost in terms of performance, since they’ll typically only buy the best of a given military platform. It is a PR loss in terms of moral, but if China doesn’t sell to them, someone else will. And at least China doesn’t provide any help to Saudi outside of the platforms fairly paid for. It’s not like China is cueing them in with targeting data. Saudi gets the platforms and gets to figure out how to use them itself, which actually give the Yemenis a fighting chance. It makes sense for them to scream death to USA if it is Saudi, since they are allies. Not so much Israel, but that’s probably something they scream for the heck of it. N00813, DigoSSA and SteelBird like this.